You don't have to look far in Monaco to find interesting details. This old tap. 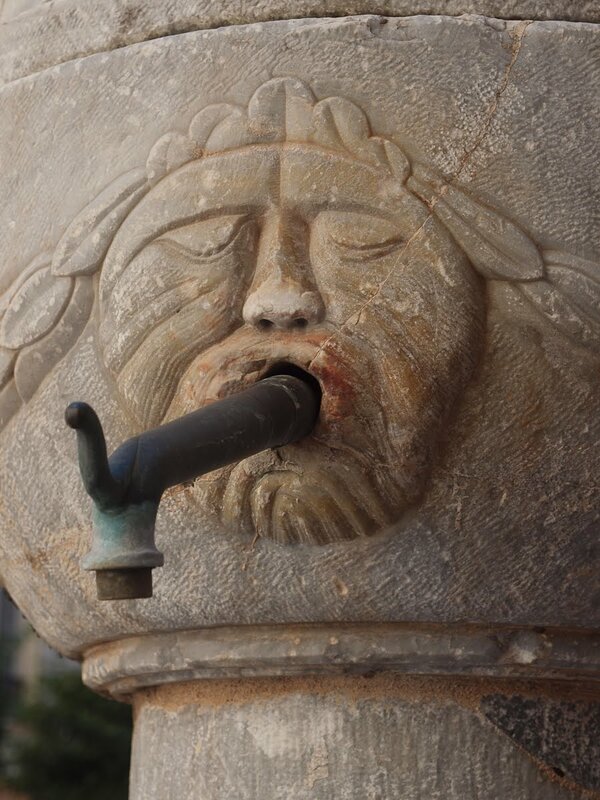 which doesn't appear to turn on and off and protudes out of a weary mouth, is part of the fountain in Place de la Mairie on le rocher. I love these old features that make you realise that people had a funny sense of humour in the past! I'm sorry, but that looks like a big old bong from college days, as well as the result.